The US’ praise for India’s role in bolstering Afghanistan’s military capability, and criticism of Pakistan for supporting terrorists is making headlines, and signals a marked downslide in Washington-Islamabad relations. In pointed remarks that are creating much heartburn in Islamabad, the US’ top commander in Afghanistan lauded India for making “enormously valuable” contribution in buttressing Afghan security forces and underlined that the US favours the military support. 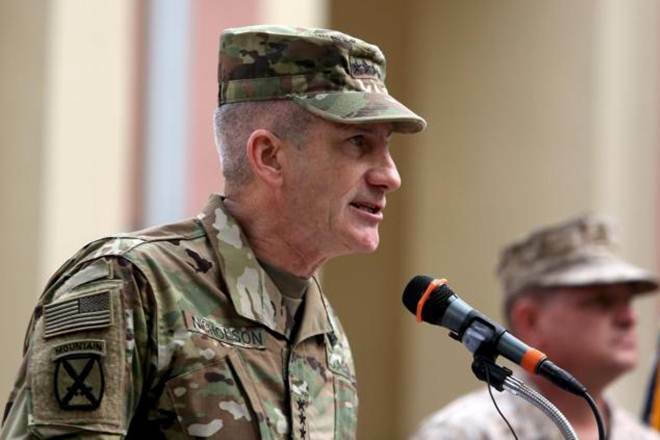 Afghanistan has sought more military supplies from India, including attack helicopters, said US Commander General John Nicholson against the backdrop of Afghanistan’s renewed offensive against assorted terror groups which has killed around 300 Islamic State terrorists. Alluding to the four Mi-25 helicopters provided by India to Afghanistan, Gen. Nicholson said the country needs more military support to tackle terror outfits. While Nicholson was all praise for India’s role in Afghanistan, he did not mince words in what is clearly a scathing indictment of Pakistan’s role in fomenting terror in Afghanistan. He said that the Taliban also “enjoys sanctuaries” in Pakistan and stressed that the US was putting pressure on Pakistan to contain these groups.